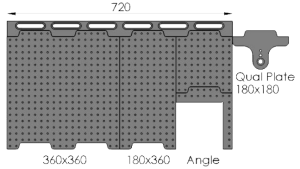 Loc-N-Load™ plates are designed so that you do not have to cover the entire granite, thereby losing that valuable datum source. Add rails to multiple machines and individual plates can move from one piece of equipment to another. The system is also designed for customers to start out with only the plates they need and add components as required. Product is ready-made and can ship right away without long lead times that slow production. Covering the entire granite is no longer necessary. Is there a probe station or other constraints? Number of CMMs or vision systems? 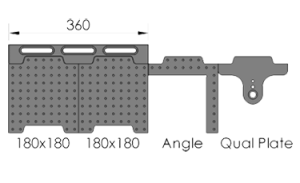 Typical sizes of parts; part families? 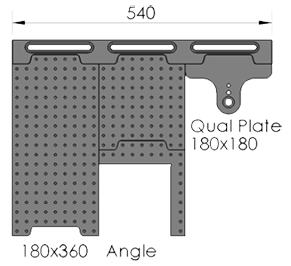 Will the fixture plate stay with a job box? Existing fixtures to convert with adapter plates? 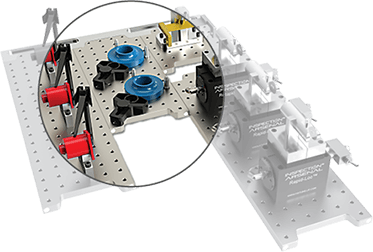 Step 1: Choose a docking rail and plate configuration based on the stage size of the machine. Step 2: Choose from one of the three pre-configured work holding kits. Step 3: Add additional plates and/or clamps as needed. To order components individually or to add to your bundled system, visit our Loc-N-Load™ page.